The contrast between George H. W. Bush and William Jefferson Clinton could not have been greater. Bill Clinton was a baby boomer born in 1946 in Hope, Arkansas. His biological father died in a car wreck three months before he was born. When he was a boy, his mother married Roger Clinton, an alcoholic who abused his family. However, despite a troubled home life, Clinton was an excellent student. He took an interest in politics from an early age. On a high school trip to Washington, DC, he met his political idol, President John F. Kennedy. As a student at Georgetown University, he supported both the civil rights and antiwar movements and ran for student council president. Clinton took office towards the end of a recession. His administration’s plans for fixing the economy included limiting spending and cutting the budget to reduce the nation’s $60 billion deficit, keeping interest rates low to encourage private investment, and eliminating protectionist tariffs. 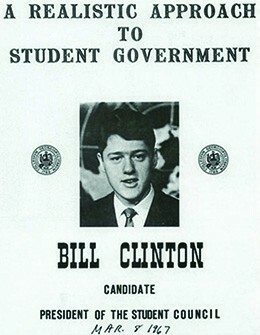 Clinton also hoped to improve employment opportunities by allocating more money for education. In his first term, he expanded the Earned Income Tax Credit, which lowered the tax obligations of working families who were just above the poverty line. Addressing the budget deficit, the Democrats in Congress passed the Omnibus Budget Reconciliation Act of 1993 without a single Republican vote. The act raised taxes for the top 1.2 percent of the American people, lowered them for fifteen million low-income families, and offered tax breaks to 90 percent of small businesses. Clinton also strongly supported ratification of the North American Free Trade Agreement (NAFTA), a treaty that eliminated tariffs and trade restrictions among the United States, Canada, and Mexico. The treaty had been negotiated by the Bush administration, and the leaders of all three nations had signed it in December 1992. However, because of strong opposition from American labor unions and some in Congress who feared the loss of jobs to Mexico, the treaty had not been ratified by the time Clinton took office. To allay the concerns of unions, he added an agreement to protect workers and also one to protect the environment. Congress ratified NAFTA late in 1993. The result was the creation of the world’s largest common market in terms of population, including some 425 million people. During Clinton’s administration, the nation began to experience the longest period of economic expansion in its history, almost ten consecutive years. Year after year, job growth increased and the deficit shrank. Increased tax revenue and budget cuts turned the annual national budget deficit from close to $290 billion in 1992 to a record budget surplus of over $230 billion in 2000. Reduced government borrowing freed up capital for private-sector use, and lower interest rates in turn fueled more growth. During the Clinton years, more people owned homes than ever before in the country’s history (67.7 percent). Inflation dipped to 2.3 percent and the unemployment rate declined, reaching a thirty-year low of 3.9 percent in 2000. In the late 1970s and early 1980s, computer manufacturers like Apple, Commodore, and Tandy began offering fully assembled personal computers. (Previously, personal computing had been accessible only to those adventurous enough to buy expensive kits that had to be assembled and programmed.) 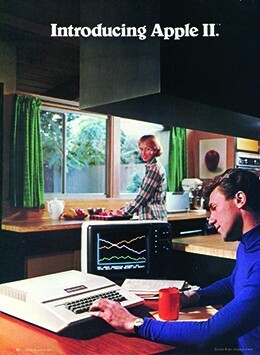 In short order, computers became a fairly common sight in businesses and upper-middle-class homes. Soon, computer owners, even young kids, were launching their own electronic bulletin board systems, small-scale networks that used modems and phone lines, and sharing information in ways not dreamed of just decades before. Computers, it seemed, held out the promise of a bright, new future for those who knew how to use them. An important and popular part of Clinton’s domestic agenda was healthcare reform that would make universal healthcare a reality. When the plan was announced in September of the president’s first year in office, pollsters and commentators both assumed it would sail through. Many were unhappy with the way the system worked in the United States, where the cost of health insurance seemed increasingly unaffordable for the middle class. 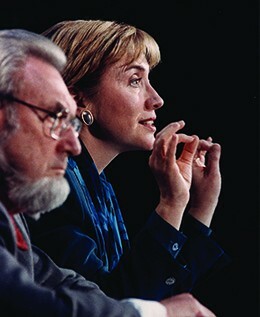 Clinton appointed his wife, Hillary Clinton, a Yale Law School graduate and accomplished attorney, to head his Task Force on National Health Care Reform in 1993. The 1,342-page Health Security Act presented to Congress that year sought to offer universal coverage. All Americans were to be covered by a healthcare plan that could not reject them based on pre-existing medical conditions. Employers would be required to provide healthcare for their employees. Limits would be placed on the amount that people would have to pay for services; the poor would not have to pay at all. 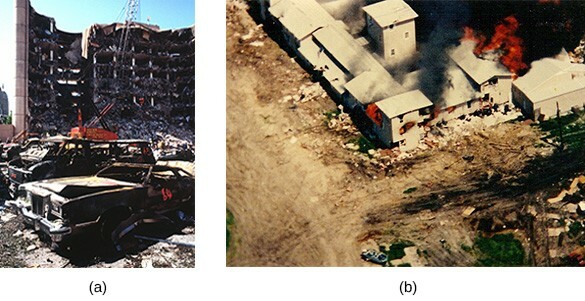 Two years later, on the anniversary of the day that the Waco compound burned to the ground, McVeigh parked a rented truck full of explosives in front of the Alfred P. Murrah Federal Building in Oklahoma City and blew it up. More than 600 people were injured in the attack and 168 died, including nineteen children at the daycare center inside. McVeigh hoped that his actions would spark a revolution against government control. He and Nichols were both arrested and tried, and McVeigh was executed on June 11, 2001, for the worst act of terrorism committed on American soil. Just a few months later, the terrorist attacks of September 11, 2001 broke that dark record. One notable success was a level of peace in the Middle East. 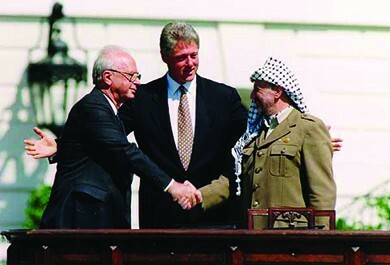 In September 1993, at the White House, Yitzhak Rabin, prime minister of Israel, and Yasser Arafat, chairman of the Palestine Liberation Organization, signed the Oslo Accords, granting some self-rule to Palestinians living in the Israeli-occupied territories of the Gaza Strip and the West Bank. A year later, the Clinton administration helped facilitate the second settlement and normalization of relations between Israel and Jordan. However, after receiving a promise of immunity, Lewinsky turned over to Starr evidence of her affair with Clinton, and the president admitted he had indeed had inappropriate relations with her. He nevertheless denied that he had lied under oath. In September, Starr reported to the House of Representatives that he believed Clinton had committed perjury. 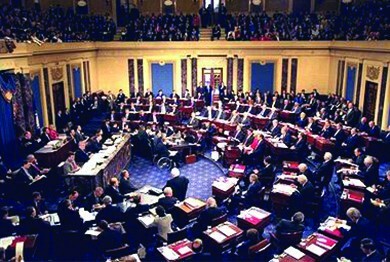 Voting along partisan lines, the Republican-dominated House of Representatives sent articles of impeachment to the Senate, charging Clinton with lying under oath and obstructing justice. In February 1998, the Senate voted forty-five to fifty-five on the perjury charge and fifty-fifty on obstruction of justice. Although acquitted, Clinton did become the first president to be found in contempt of court. Nevertheless, although he lost his law license, he remained a popular president and left office at the end of his second term with an approval rating of 66 percent, the highest of any U.S. president. One hundred million votes were cast in the 2000 election, and Gore topped Bush in the popular vote by 540,000 ballots, or 0.5 percent. The race was so close that news reports declared each candidate the winner at various times during the evening. It all came down to Florida, where early returns called the election in Bush’s favor by a mere 527 of 5,825,000 votes. 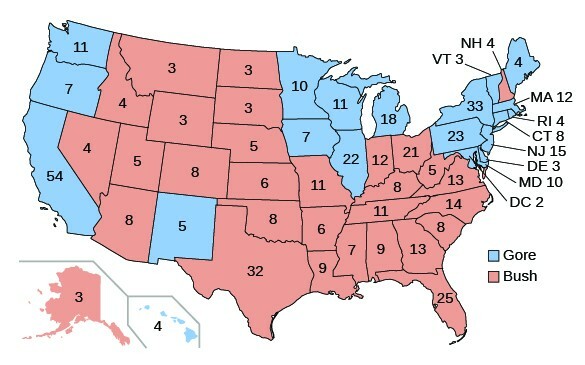 Whoever won Florida would get the state’s twenty-five electoral votes and secure the presidency.